To see a list of everything else that was changed in the latest build, scroll down beneath this cool video by SnowTheSaltQueen! She’s got a lot of cool cosplay on her Instagram, including some Yandere-chan cosplay! What the heck does “De-Janking” mean? To find out, scroll down past this super cool artwork by SexyUnicornKing and click “Continue Reading”! Alright, fun’s over, back to normal. I’ve fixed some bugs (so that I can have an excuse to release an update that removes the April Fool’s prank and restores Yandere Simulator to normal) and prepared a new build for you to download. To read a list of everything that is changed or fixed in the latest build, please scroll down past this super gorgeous and badass artwork by BlueBlurApple! Remember that time when I made a video asking if Yandere Simulator should be re-named, and everyone said “yes”? Oh yeah, by the way, new build today. Click “Continue Reading” to read the changelog. If you’d like to zoom in and see all the little details, click here! I’ve also uploaded a new build! You can find a changelog at the bottom of this blog post. Additionally, I’ll be uploading a new video tomorrow; I hope you’ll look forward to it! Last year, I wrote a short “anniversary speech” in commemoration of the game’s 4th birthday. This year, I’ve written a much longer one. In case you’re interested in knowing what kind of thoughts go through a person’s mind after they’ve been working on a video game for 5 years, click “Continue Reading”. Recently, I’ve seen so many bugs that I couldn’t resist putting aside a couple of days to simply fix as many bug as possible. The result is this update, a bug-fixing build with twice as many bug fixes as usual, along with a few improvements! To read a list of everything that was fixed or changed in the latest build, scroll past this illustration that I requested from Budokas and MulberryArt! …huh? You don’t get it? 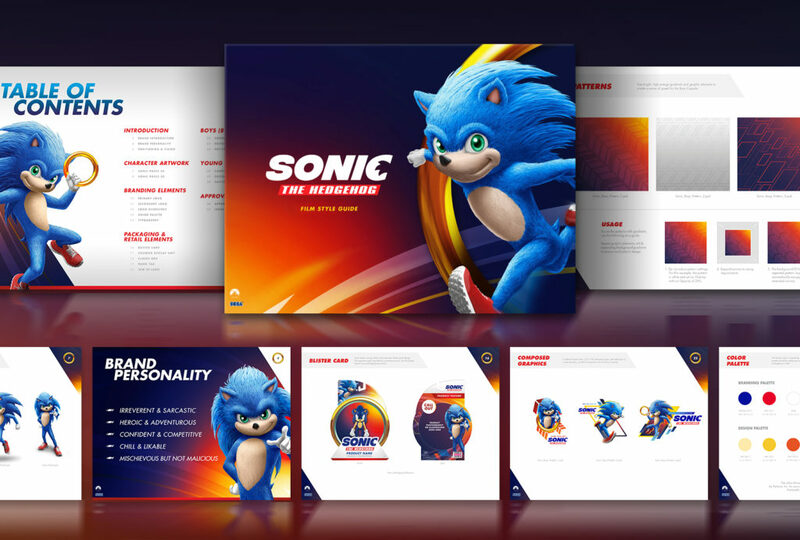 Well, you see, a few weeks ago, someone leaked the style guide for the upcoming live-action Sonic film, and it gave me a mental image that I found so amusing, I couldn’t resist making it into a reality. I hope it gives you a chuckle! At the beginning of this month, I decided what feature I wanted to work on next, and estimated that I could complete the feature by March 15th. I made a lot of progress, but in the end, March 15th simply wasn’t a realistic goal; it wasn’t enough time for volunteers to prepare the necessary assets and animations. Although I really wanted to be able to show off an exciting new feature for you today, it simply isn’t ready yet. I’m sorry! While waiting for the assets I need, I’ve been making various changes and improvements to the game. There are certain things that have been bothering me for a very long time, and I decided that this would be the build where I finally fix those problems. 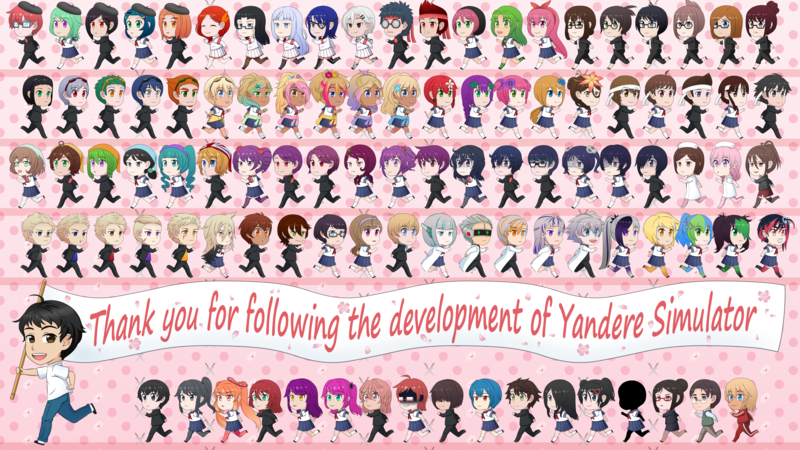 If you’d like to read a full list of every bug that was fixed and improvement that was made over the past 10 days, please scroll down past these dancing Yandere-chans, drawn by MayeMomorino, Rayan-kzm911, dothackerYggdrasil, and akyber! …huh? You’re confused? Well, you see, there’s this meme, and…ah, nevermind.